I showed you Zoya Gilty a couple of days ago, and since I loved it so much, I used it for another mani. EMIO is a very rich polish and as I swatched it, I was like.. "Why have I seen this polish before"? 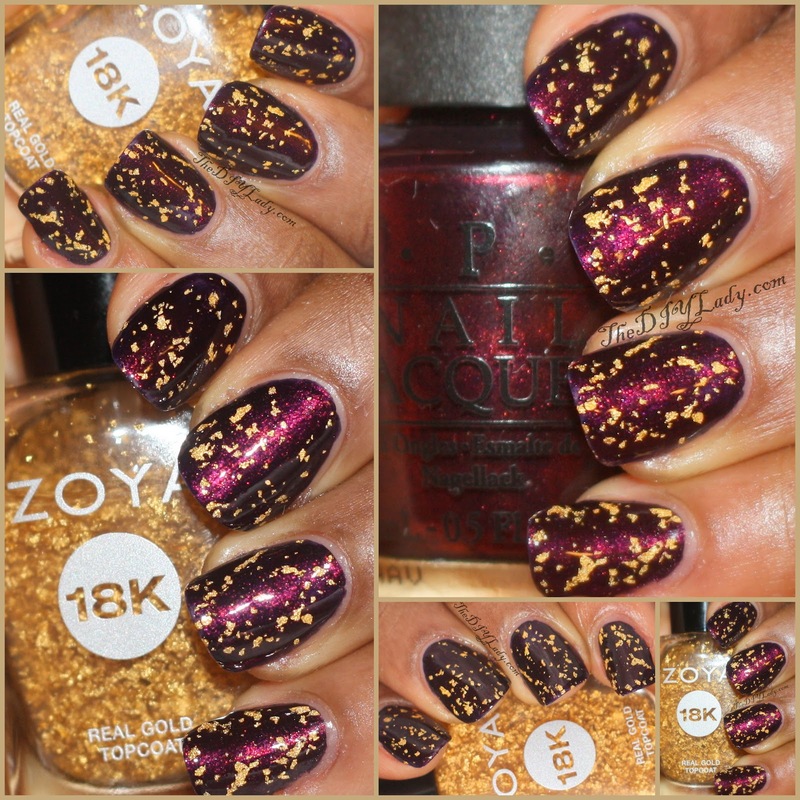 It turns out, it's a dupe of Zoya Jem. I made a comparison post of these two HERE. Gilty is just so beautiful and can do no wrong. No wrong whatsoever in my eyes. I Seriously need a back up bottle for future uses. It changes color in different lighting, but it stays beautiful in every light. Look at the bottle shot. Such a beautiful Polish... Amazing combo with Gilty. When I got Gilty I really wanted to wear it over other colors that aren't BLACK, so I'm very happy with this combo. In case you missed out on Gilty the first time around, You can get it now on Zoya's website. It comes with a black and White polish in the box perfect for a Christmas gift. Thanks dear. They really do compliment each other.